CYCLE: Taoiseach Enda Kenny will be cycling through Sligo. 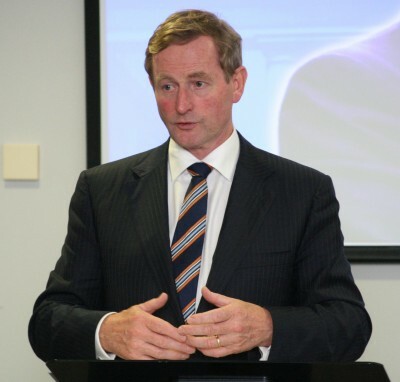 Taoiseach Enda Kenny will be in Sligo on Saturday morning to take part in a charity cycle. The Sligo-Leitrim 60kms Charity Cycle Sportive will begin at 10am from IT Sligo and is in support of both North West Hospice and Cystic Fibrosis Ireland. Mr Kenny will be the special guest and he will be participating in the event to help to raise awareness and money for both local charities. Event organiser Blaine Gaffney said: “The Taoiseach was keen to support the two charities in question after recently seeing first-hand the service they provide in this region. Event co-ordinator and local businessman Eddie Carr has advised anyone who might be interested in attending and supporting the event that the registration for this cycle will take place from 8.30am in the main foyer of IT Sligo building and it will remain open until 9.44am. The 60 kms cycling route around Lough Gill, will take in Strandhill, Ransboro, Ballisodare, Ballygawley, Ballintogher, Dromahair and Sligo town with refreshments for all participants being served at Moran’s Bar in Ballintogher and IT Sligo.